All maps on this site were created by Jeff Harkey, owner of FDmaps.com. They may be reused with credit given to FDmaps.com. Please use the full reference www.detroit.fdmaps.com. 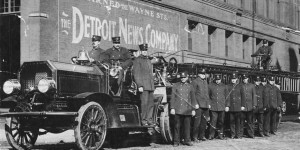 Our thanks to Retired Detroit Firefighter Sheryl Jayson who writes the excellent blog DFDlegacy.com. Bookmark and visit her site often for regular posts on historical DFD items. Additional historical photos are published on the site that have not been included here. 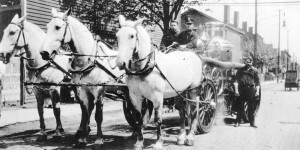 Raleigh Fire Department Historian Mike Legeros, a dedicated fire department historian for his assistance with this project, especially helping navigate the Sanborn Maps of historical Detroit. We encourage you to learn more about the Detroit Fire Buff’s organization Box 42. They are proud members of the International Fire Buff Associates. Thanks to Garry Watts and Dan Jasina for help with some current info. My personal thanks for the hospitality Box 42 extended this North Carolina fire buff in 2005 and 2006.